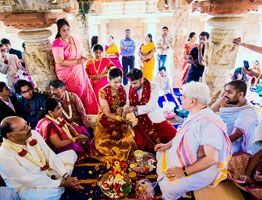 If you love to travel and it's the luxury you are seeking, let us help you create unique travel experiences and journeys across India. 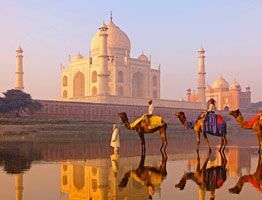 From luxury cruises and trains to top vacation destinations in India, Indian Holiday Pvt. 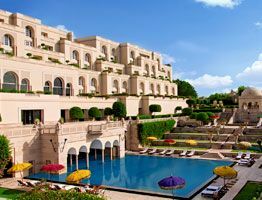 Ltd. has access to some of the top luxury hotels and resorts in India which are not available elsewhere. Rejuvenate your senses in some of the finest spa resorts and luxury hotels offering tranquil oasis. These spa retreats across India offer seamless blend of pure luxury with holistic relaxation and renewal to reinvigorate your inner self. 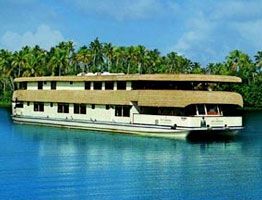 Experience bliss amid cerulean waters with luxury deluxe houseboats in India. Furnished with lavish features and amenities, houseboats create the magical feeling of floating. Treat your sense to ultimate pleasures. Savor the bliss of the beaches of India with a luxury stay at beach resorts in India. Get away for honeymoon, family vacation or a relaxing holiday. Indulge in the thrill of wildlife adventures coupled with untold luxuries, choose to be pampered selecting from our exclusive range of luxury wildlife resorts in India. 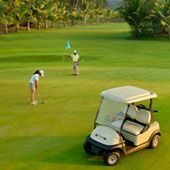 India is among the popular countries to play Golf, offering some of the most extensive landscape. 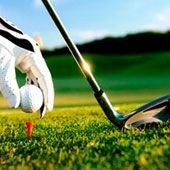 Get yourself a taste of bliss with Golf tour packages! 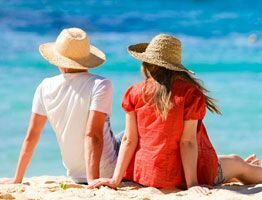 Lay together in the lap of beachfront luxury or dive hand-in-hand into an action-filled adventure under sea with our beach honeymoon tour packages. Pristine beaches & tropical islands beckon! 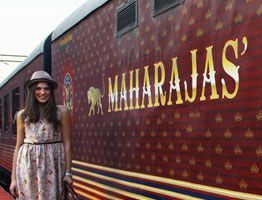 In the land ruled by maharajas, Nizams and Nawabs sprinkled with forts, palaces and havelis, where the folklore is deeply ingrained with tales of valor, romance & chivalry, relive the era of maharajas with royal honeymoon tour packages by IHPL. 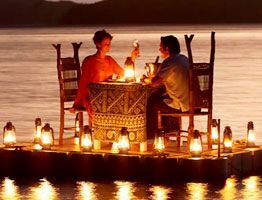 Moonlit cruises amidst the gentle lapping of backwaters of Kerala dotted with coconut palm; a time for luxury & privacy, a time for love & romance, a time for backwaters honeymoon in Kerala, God's own Country! Select from our tastefully crafted luxury backwater honeymoon packages! Escape to romance the hills! 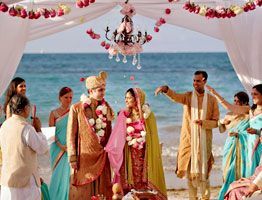 Lay together in the lap of luxuriant nature, promenade along the nature trails or indulge in thrill of adventure sports like para gliding, skiing and snow sports, hill station honeymoon tour packages in India are perfect for the beautiful beginning of your married life!